There are some logical fallacies that occur often enough to be given names. Some sound humorous, like “Arguing Against a Strawman” (which is when an opponent’s position is misrepresented and then attacked). Others have titles that have been distorted by pop culture, like “Begging the Question” (which refers to an argument that assumes its conclusion at the outset – not something that simply “brings up” a question). My favorites are ones that have cool Latin titles like “Tu Quoque” (which means something like “you too,” and is committed when one argues based on an opponent’s inconsistency). While logical fallacies are fun to learn and discuss, they are bad things to commit. Logical fallacies indicate a breakdown of intellectual action, and can lead to false conclusions about reality. They are especially dangerous when they are not noticed. For reasons of intellectual honesty and integrity, all Christians should avoid misrepresentation, question-begging, or making arguments that would undermine the faith. Further, if one wants to keep someone from becoming Catholic, or win someone back from Catholicism, arguing poorly may only serve to make Catholicism more attractive. Below I explain these three mistakes and discuss how to avoid them. When I teach comparative religions, I insist that the teachings of the groups be stated and understood to the group’s satisfaction. As with other religions, when arguing against Catholicism it is important to present it accurately. This can be difficult, though, because Catholicism has 2,000 years of theologizing behind it and has developed very nuanced views of many doctrines. Quick summaries and sound bites, then, rarely reflect the width or depth of Catholic theology. Trustworthy sources like the Catholic Catechism, Catholic Encyclopedia, or papal encyclicals, ought to be consulted before presenting the Catholic view on some topic of theology or ethics. Distinctions also must be made between official, infallible, irreformable, dogmatic teachings and unofficial, fallible, reformable, doctrines (and several categories in between!). It does no good, for example, to attack a claim to infallibility using fallible teachings! Works cannot justify (“save”) anyone, but are part of the (“saving”) process of sanctification. Papal infallibility does not refer to everything the Pope does, only to officially defined dogma. Veneration of Mary and other saints is not worship, it is showing respect. Prayers are made to God, saints are asked to pray with and for people. Indulgences cannot buy one’s way into Heaven, they only help relieve the purifying suffering for sins. Purgatory is not a third afterlife residence, it is a temporary state for those who die saved but imperfect. The Eucharist is a re-presentation of Christ’s sacrifice on the cross, not an additional sacrifice. There are different ways to asses religious claims. One way is to work from the bottom-up and evaluate the teachings of the religion for truth or falsehood. A major problem with this method is that it makes something outside the religion (namely the beliefs of the critic or some other group) the standard of evaluation. This opens the critic up to circular arguments, for he is in essence saying, “I believe X is true. This religion teaches ~X. Therefore the religion is false.” In order to avoid this, the critic must prove that a given teaching/practice cannot be correct. For the anti-Catholic, then, only a demonstration that Catholicism officially teaches something logically impossible or that absolutely contradicts Scripture (given all of its possible interpretations) will succeed. The “top-down approach” looks at the religion’s authority first, and its teachings second. If a given religious authority is legitimate, then disagreement over doctrine should no longer be a viable option. If a given authority is illegitimate, then agreement or disagreement with its teachings becomes irrelevant. This is why, when I teach Christians how to do apologetics with members of other religions, I always recommend that they deal primarily with that religion’s authority. All faith is based on trust in some authority, otherwise affirming religious truths would simply be expressing knowledge. For example, for you to agree that I am sitting in a chair might only require your presence and sensory perception; however, believing that I have a headache requires your trust in me as an authority over my internal states. Supernatural truths cannot, by their very nature, be apprehended by the natural mind directly. They have to be communicated by some authority. It is in trust in religious authority that faith obtains. By setting up the critic as the authoritative judge, the bottom-up method assumes that a religious authority is not really authoritative at the outset – but that is what is at issue. To avoid question-begging and circular arguments, the Catholic Church needs to be assessed by objective criteria as to its authoritative status as the official teacher of Christian faith and morals. The real issue is over the legitimate authority for the Christian faith. The job of the anti-Catholic, then, is to prove that the Catholic Church has failed to teach the truth in official matters of faith and practice without simply setting themselves up as a counter-standard. Many anti-Catholic attacks could be used equally well against Christianity in general – for they are based on principles destructive to both. While such an outcome might please anti-Christian skeptics, this is a big problem for anti-Catholic Christians. Obviously no one should base an attack on something that will undercut their own view as well! Now, it is fallacious to argue for the truth or falsity of a position based on such inconsistencies, but they can be legitimately employed to show that there are unfavorable logical consequences to the arguments themselves. These kinds of problems are difficult to see when one is unfamiliar with the thinking of both sides. There is much more to the difference between Catholics and non-Catholics than disagreements over doctrine. Often the foundation for doctrine differs as well. This is behind some of the miscommunication that often goes on between members of either group who are unfamiliar with the thought patterns of both sides. Catholicism claims that it is the One, Holy, Catholic, and Apostolic Church – infallible and authoritative in its official teachings. Obviously, non-Catholic Christians will take issue with this, but what must be done to prove the claim false? One may think that pointing out historical evils practiced by the Catholic Church will do the trick, but there is a problem with this when one compares the Catholic Church to the nation of Israel. As all Christians (should) agree, God called out a people to be His people and made them into a nation – Israel. But the people of Israel were often faithless – even idolaters at times. The nation was often ruled by evil kings. They had a physical rite that made people into members of the nation, but those people could later act in such a way as to be cut off from its promises. The nation eventually split in two. Christians would not accept an argument that because of these things, Israel was not God’s chosen people – for it would contradict Scripture. The parallels between the nation of Israel and the Catholic Church are hard to miss: both have been involved in scandal, sin, and unfaithfulness. Both have had evil rulers. Both have experienced illicit division. Both have physical rites involved with membership that do not guarantee continuation in that communion or related blessings. But Israel did not cease to be Israel because of these things. (“Not all Israel is Israel,” says the Apostle Paul in Romans 9 – and he was not just being clever.) In similar manner, the Catholic Church can remain the Church even when its members fail to uphold its calling. Yes, Catholics have been involved with very bad things in the past as well as today. But Jesus said the Church would be a “weed-filled field” until the Final Judgment (Mt. 13), so critical evaluation needs to be limited to what the Catholic Church actually teaches, not what its members have done. The papacy often serves as the focal point for attacks on Catholic authority. Sure, Catholics have the Church Fathers, Councils, and 2,000 years of tradition to draw on – but the Pope is especially annoying as an authority figure. Papal infallibility is probably behind most of the ire – who does this guy think he is, declaring dogma and all? Attacks on the papacy, then, often focus on perceived failures in a given Pope’s faith or morals. Consider, however, the Apostle Peter. He constantly made a fool of himself, mutilated a man against Jesus’ will, acted like a racist, and denied Jesus Christ three times! Yet he also wrote two infallible letters that were included in the New Testament. Somehow, God used this imperfect, fallible, sinful man (and several others) and produced something infallible with them. Christians would not accept an argument that because of these things, Peter was not a legitimate apostle, or that his writings were not infallible – for it would contradict Scripture. If Peter’s considerable lapses in both doctrine and morals did not invalidate the infallibility of his letter-writing, then past papal failures do not count necessarily against the Pope’s ability to teach infallibly. The actual dogma of papal infallibility teaches that papal infallibility is not like a superpower each Pope gets as soon as he is elected. Like Peter, the Pope is only acting infallibly under certain circumstances (viz., when he speaks ex cathedra – in the exercise of his office as pastor and teacher of all Christians defining, by virtue of his supreme Apostolic authority, a doctrine of faith or morals to be held by the whole Church). Thus, attacks on the office based on evil popes or even popes who accepted doctrinal error would not be examples of the failure of papal infallibility unless those failures became the dogmatic teachings of the Church. To non-Catholics, the Catholic’s trust in Church Tradition and the Magisterium may seem irrational. Catholics may seem to “check their brains at the door” and “blindly” follow anything the Catholic Church teaches. This criticism is almost exactly the same as anti-Christian attacks on Christians. Don’t Christians “check their brains at the door” and “blindly” follow anything the Bible teaches? Consider the old vs. young earth debate, or that between evolutionists and creationists. It seems nothing is ever allowed to call the Bible into question! It all comes back to faith in authority, though. Once people determine (using their brains!) that the Bible is the Word of God, criticism of its teachings ends and humble acceptance begins. That’s only reasonable. Christians would not accept an argument that trusting the authority of the Bible was irrational, because there are rational reasons to trust its authority. 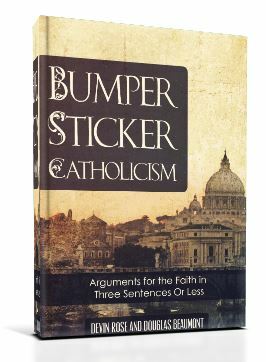 If it is legitimate to scold Catholics for “checking their brains at the door once the Church speaks,” it is equally legitimate to accuse all Christians for “checking their brains at the door once the Bible speaks.” Further just as one does not come to believe the Bible is infallible by testing every biblical affirmation against some other standard, one does not determine the Church’s infallibility by going through every one of its teachings and testing them against some other standard. Rather, once it is discovered that the Catholic Church is the Church that Christ founded, then discussions of this-or-that doctrine become largely irrelevant. Catholic Christians believe weird things like transubstantiation! Non-Catholic Christians believe weird things like incarnation (Jn. 1). Catholic Christians believe in the appearances of Mary and other saints! Non-Catholic Christians believe in the appearances of Samuel, Moses, and Elijah (1 Sa. 28; Mt. 17). Catholic Christians ask people in heaven to pray for them! Non-Catholic Christians ask people on earth to pray for them (2 Thess. 3; Mt. 22:32). Catholic Christians believe relics of saints can heal! Non-Catholic Christians believe the relics of Jesus, Peter, and Paul can heal (Mk. 5; Acts 5, 19). Catholic Christians call men “father”! Non-Catholic Christians call men “father” (Acts 7; Phm. 10; 1 Cor. 4:14; 1 Jn. 2:13). Catholic Christians pray the same prayers repeatedly! Non-Catholic Christians pray the same prayer repeatedly (Mt. 6:9). Catholic Christians believe things that seem to contradict Scripture! Non-Catholic Christians believe things that seem to contradict Scripture (James 2:12; Jn. 6:48-68; 1 Pet. 3;21). Catholic Christians believe doctrines that were not defined until centuries after the Bible! Non-Catholic Christians believe doctrines that were not defined until centuries after the Bible (the Trinity, Filioque, Incarnation, Calvinism). Catholic Christians accept things that are not taught in Scripture! Non-Catholic Christians believe things that are not taught in Scripture (Church buildings, the Biblical canon, Gospel authorship, Youth pastors). Catholic Christians use images and statues in their religious life! Non-Catholic Christians use images and statues in their religious life (Nativity sets, Crosses, T-Shirts, Illustrated books). Catholic countries have fallen into secularism! Non-Catholic Countries have fallen into secularism (e.g., Germany, England, the USA). Clearly, arguments should be avoided that rely on principles that undermine one’s own position in the process. For these quips to work one would need to show that the parallels are faulty or fail completely. As all Christians agree, the Church is the pillar and ground of truth (1 Tim. 3:15) that Jesus Christ founded (Mt. 16) on the apostles (Eph. 2:20) who were commanded to teach the faith (Mt. 28) and who then passed on this role to others (2 Tim.). As most Christians agree, these leaders were recognized by the historic fact of apostolic succession (cf. 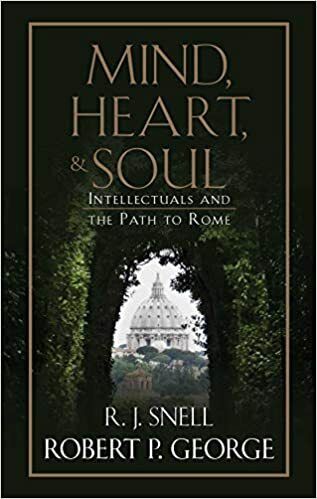 the writings of Ignatius or Clement), and were therefore trusted to teach true doctrine (e.g., Justin Martyr, Irenaeus) and even determine the Bible’s contents (e.g., the Council of Carthage). As Catholic Christians agree, this process is trustworthy even up to the present day because of Christ’s promise that His Church would never fail (Mt. 16) – and this process also identifies the Catholic Church as the Church Christ founded. It is this narrative that must be overturned (while avoiding misrepresentation, question-begging, or self-undermining) if one is to argue successfully against the Catholic Church.